Major plans for London Stansted Airport as they announce £130 million pound overhaul on their arrivals terminal to cope with growing passenger numbers. The announcement comes from airport owners Manchester Airports Group (MAG), to support the growth and attract new passengers and airlines to the popular airport. This marks the latest phase in the multi-million pound transformation and a welcome relief to an ever increasing demand for the building. 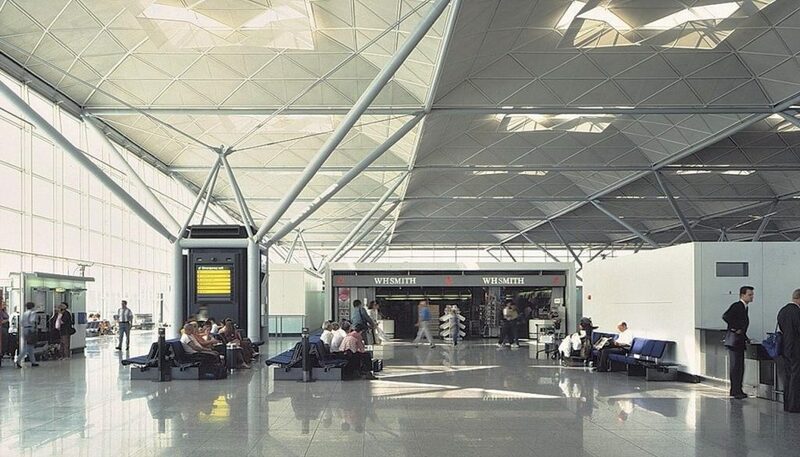 Handling approximately 5,000 departing customers every hour during peak times, Stansted is considered the busiest terminal airport in the UK. It is estimated that 24 million people a year use the airport and with the rebuild set to take place this will see numbers soar with a footfall of 43 million. With other airports in the capital suffering from runway constraints, MAG are confident that the new build will tempt more passengers to use their Airport for a more efficient service. MAG have suggested that the build will span three levels covering 34,000m2 and be located next to the current terminal and hotel. Further job creation is predicted with new retail facilities and the new arrivals terminal will see a larger immigration and baggage area. In addition, a public forecourt will also be featured. To add to the new plans the existing terminal building will be reconfigured with check-in and security made more efficient within the international departures lounge. Speaking on behalf of London Stansted Airport, CEO Andrew Cowan said “It has always been our vision to invest in its infrastructure to create the best experience for our growing number of passengers and airline customers and have already invested over £150 million to update our terminal and satellite facilities, created 1,000 more jobs, added over 40 new destinations and increased passenger numbers by nearly seven million. Upon the successful approval of planning permission MAG will direct their attention to awarding contracts to interested companies to take on the required work. The three year project of the terminal is expected to commence in 2018. To keep up to date with all of our projects head on click here to visit our facebook page. Did you know we provide expansion joint sealing as well as drilling services?